DISCOVER HOW YOUR SPACE CAN BE RESTORED, REINVENTED, AND RECREATED. 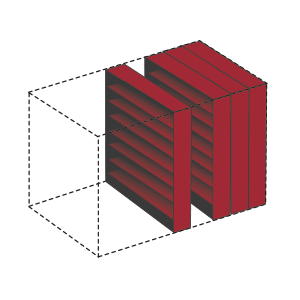 WHAT IS COMPACT MOBILE SHELVING? 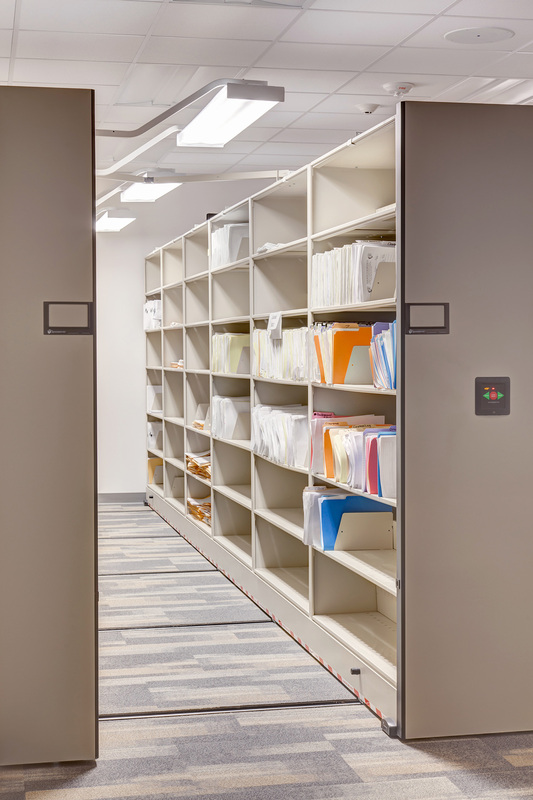 Spacesaver Intermountain is the leader in providing innovative storage solutions that allow businesses—of any industry—to better manage their time, space and security. We’ve helped a multitude of healthcare facilities, libraries, museums, police departments, and general office environments in the Southern California area as well as throughout Utah, Idaho, Wyoming and Nevada realize the potential of their spaces—and we can help you, too. 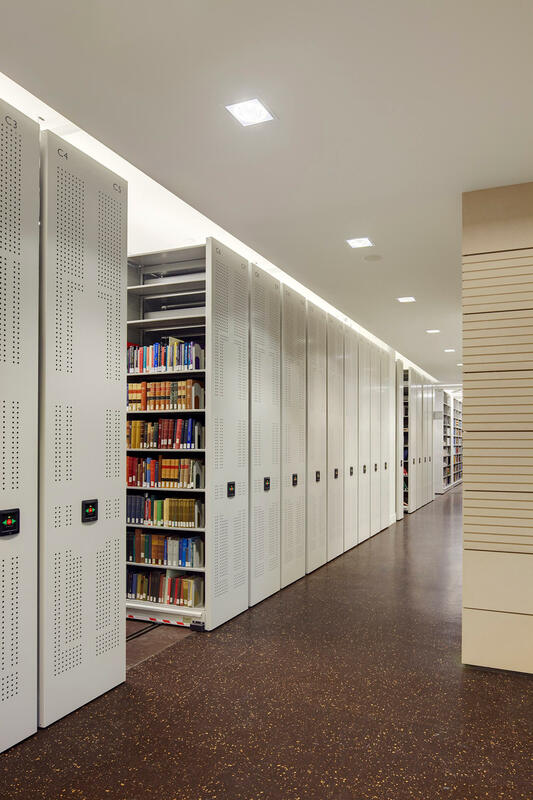 Locker storage, high-density mobile shelving systems, modular millwork and furniture, and more—it can all be combined to create a full-service storage solution that is as efficient and functional as it is aesthetically-pleasing. Take a look below at just a few of our many Success Stories. The Salt Lake City Public Safety Building serves as a central hub for the community by combining several departments—police, fire, and emergency response—all under one roof. As a result of integrating these departments, the building’s personnel knew they had to think of smart storage from the very beginning. 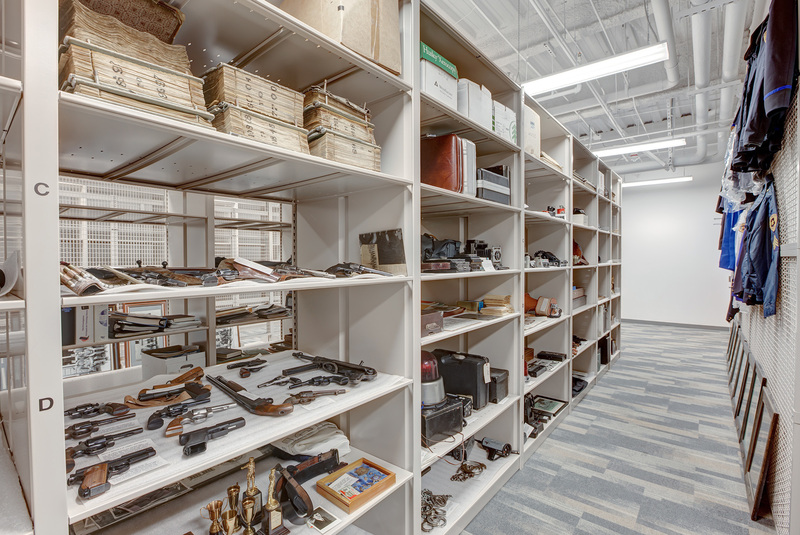 We were able to design a solution to fit the needs of many of the building’s key spaces, including high-density mobile shelving systems for condensing weapons shelving, personal storage lockers for configurable locker room storage, pass-through evidence lockers to protect the evidence chain of custody, and gear lockers for duty bag storage. What resulted was a state-of-the-art building whose additional space made it possible for the building to be a true hub for the community. Interested in learning the whole story? 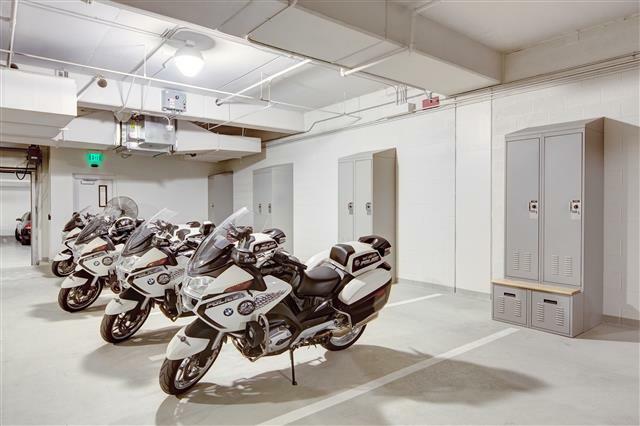 Take a look at our Salt Lake City Public Safety Building Case Study. Located in Vernal, Utah, the Uintah County Library was fortunate to be able to expand by more than doubling its original space with a new building. However, they needed to make sure that they were making smart decisions on their new additional square footage—and that’s where we were able to help. With their goal of creating a more comfortable, user-friendly space for library visitors of all ages, we know that a combination of cantilever and 4-post metal shelving in conjunction with high-density mobile shelving systems would help with their vision. 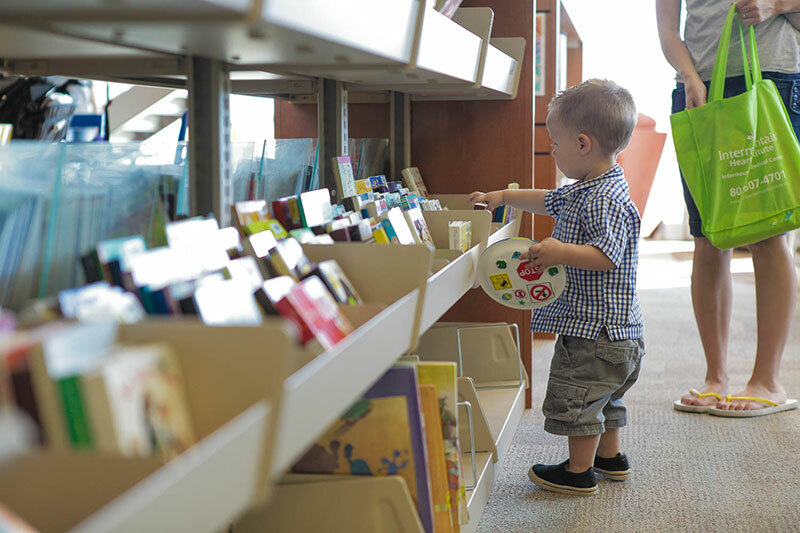 The organized environment has led to an increase in library users—and a happier staff. There’s more to the story at Uintah. To learn more, check out our Case Study. 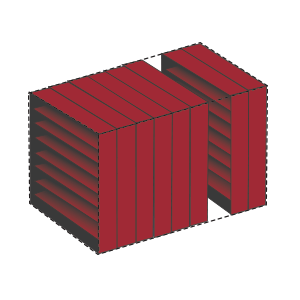 A storage solution is only beneficial when you design it with the end users in mind. We take the time to evaluate your space as well as listen to staff and employees to gain insight on the challenges and goals of your business. Our representatives are space experts and create a cohesive plan to work with your existing space while keeping constraints and current equipment into consideration. Once approved with the green light, we still develop a thorough timeline and project schedule that works for your business. With our knowledgeable and professional installation crew, we work within the timeline we set with you. 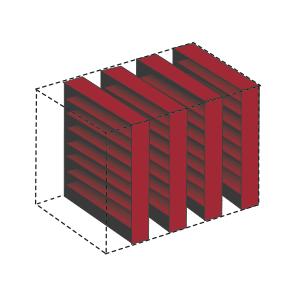 We pride ourselves on being able to install all products with minimum disturbances to your daily operations. Review and assessing a storage system is part of the installation process. And, we don’t stop there—whenever you need service or have a question, we’re just a phone call or an email away. Contact us today for a free assessment of your space.